I got to test it out a bit more - and man, does it rock! I like it very much, can’t wait for the 24th to upgrade my account. @kabu: It’s worth trying it. I really like how simple, fast and selfexplaining it is. Go, try it out. But I got another question: How do I reupload a model? I think, I’m to blind to see the option, or maybe I’m doing something wrong. This work is absolutely amazing. One of the best addons, hands down. It’s definitely going to be a game changer for blender users that are involved in arch viz particularly. I’m a hobbyist and I model most of my assets, so I’ll stick with the free version, although the annual fees are more than affordable (30$/year). For a professional artist though, it’s almost like a gift. Thanks! It makes me happy to read things go in the right direction for users. To answer your question - reuploads are available as soon as you upload the model - then, blender saves your file with the asset ID in it, and the re-upload buttons are visible. There are 2 buttons, one reuploads everything, the other only metadata(also not the thumbnail). If you change name of asset however, always a full reupload happens, because the name is stored also inside the .blend that gets uploaded. blrdnamnam - thanks for feedback. Happy to read that. Btw. we don’t want to drag anybody into buying subscriptions, we are totally happy if we can provide free accounts for as many people as we can. I’ve been with blender for more than 20 years, and always loved how people can share with each other for free. We are doing this partially commercial service for clear reasons, to be able to do more cool stuff around blender and open source, and get also funds for core development through a new channel. thank you for your first amazing month with us! About 700 users to this day joined BlenderKit. The database did grow by about 40 new items. We received overwhelming feedbacks through various channels - forums, social networks and email - Thank you! We’ve launched the paid part of subscription so creators can finally get rewarded for their work, and you can express your support towards them, us, and Blender by choosing Standard or Pro plan. Therefore models are not available in the free plan anymore. 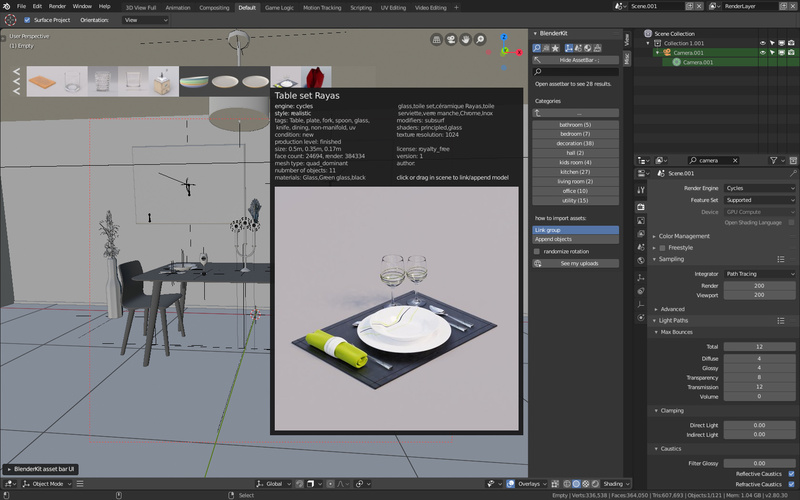 New beta version of the add-on for Blender 2.8 is now available on our website. We are curious about how you like the new UI (panels of the add-on are currently on right side of the 3d view, will move probably). Models uploaded from 2.8 won’t be available in 2.79. Searching the assets is now way faster and results are sorted in a better way. Pagination in the asset bar is now supported, so even large categories can be comfortably listed through. We fixed tons of other minor bugs both in 2.79 and 2.8 add-on. New versions of the add-on can be downloaded from the website. To all creators, since we just started subscriptions, first credits should start showing up on your accounts in one month, since that is when the redistribution happens. It’s also when we send our first contribution to Blender development! I forgot to mention - authors can now fill in their name in their profile. You can also use a nick or company name if that is what you prefer. Hi, we just stopped the ‘everything for free for everybody’ trial period (yesterday). At the same time, we feel a bit sad about that and want to enable everybody to ‘play around’, while protecting the creators who do their hard work creating the assets. There are several options on how to achieve this and we are actively working on this. By now, we hope we set the subscription fee (about 3 dollars per month) so low it’s possible for everybody to give it a try. In the end, you get access to 260 models for this money! Nevertheless, it would be nice to have a test model to check the functionality and if the addon works with one’s build of blender, a suzane or a default cube would serve the purpose (the blenderkit logo would be cool for example). Right now, when I add a model to the scene blender crashes (2.80), I guess it’s because I’m not subscribed (yet ), but if there was a free model I could check if there’s a problem with my build or system before subscribing. Hi, I fully understand. We are really considering that. If you would want free models by now - you can upload your own creations allready. We don’t mention it probably anywhere, but as long as you make your creations public(make them ready for validation and they go through the validation process) you can actually allready use BlenderKit as storage for your own assets you use in your projects. If we make a free model, I’m sure the first one will be our mascot Kitten! Btw. 2.8 SHOULDN’T crash because of the addon, we test it everyday… There are crashes for various reasons however, plenty of them, so it’s very hard to guess. Also, the Python lenguage API is changing literally everyday, so it is very dependent on the ‘freshness’ of your 2.8 build. I tested the version I uploaded yesterday with blender version from yesterday too. Ok great! I’ll upload something when i have some time and try to link it back to blender. Btw, the newest addon verson on our site has freebies enabled, which means there is a new category button, where you can test about 20 free models! Hi, currently the highest version for 2.79 online is 0.4.04, which is the one you mention probably. For 2.8, the versions are numbered from 1.0.0 and up. I’ll be releasing a new version with some minor updates tonight. Mainly there will be the freebies category fixed properly, new properties for upload, and some small changes in UI. compatibility. The reason to request PBR assets for us that we can possibly convert objects for other render engines or software. While subsurf will probably work very similar in most software, this isn’t true about other ones. With Blender growing so fast however and our big todo list(yes we want to add much more in the addon), it’s hard to expect when and if actually some expansion to other software packages might happen. Performance. Some modifiers, e.g. boolean modifier with higher poly objects, simply eat too much performance when you drag and drop them into the scene. These are better applied too. Regarding modeling a design - Legally, and to my current knowledge this is not a problem, since a 3d model is a visual representation of an item, similar to a photo. This involves things that are produced as real world items. so it doesn’t include e.g. movie characters or similar. 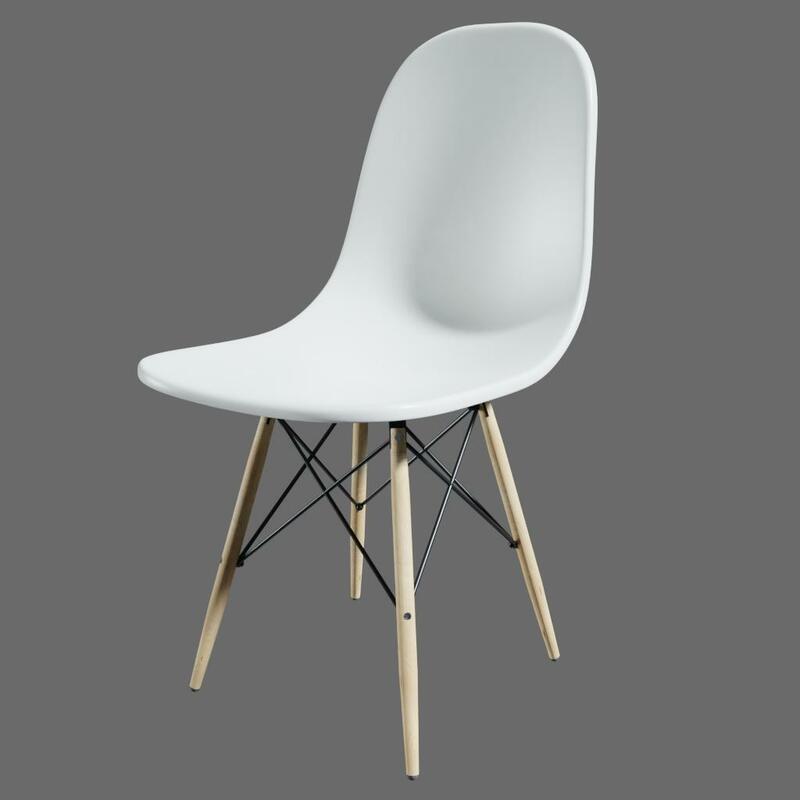 Simply said - if you take a photo of a chair, you aren’t stealing it’s design. You’d do so if you’d start manufacturing same item, from plastic+ wood in the real world. This problem, however, might be approached from different sides around the world, and I’m not a lawyer, but so far this is where I got after a long research. A very nice chair model by the way!